Symmetry In Motion is a unique space for experiencing movement. Using the GYROTONIC EXPANSION SYSTEM, Restorative Exercise, and experience with neuro-structural reorganization, Kelly Reed Daulton guides people to pain-free power. GYRO-movement is a TONIC for your body. Hands-on cues help the nervous system receive new information about functional, three-dimensional movements which restore strength, integrate the body systems, and align the bones. Kelly has experienced first-hand the positive effects of these methods, eliminating her own chronic pain, prolapse, and scoliosis. "The ultimate aim is to be at home in one's body, to be at one with the nature of oneself, and to experience exercise as a creative and delightful experience," Juliu Horvath, creator of the GYROTONIC EXPANSION SYSTEM. 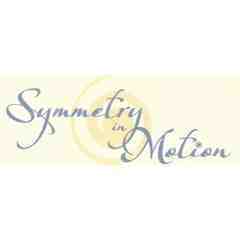 If you are curious about creating more efficient movement, or you want to feel more centered power in your body, or you are experiencing chronic pain, come find out how Symmetry In Motion can help. One hour session - uniquely specialized alignment and functional fitness training. Your support matters, so Templeton Middle School PTO would like to use your information to keep in touch about things that may matter to you. If you choose to hear from Templeton Middle School PTO, we may contact you in the future about our ongoing efforts.